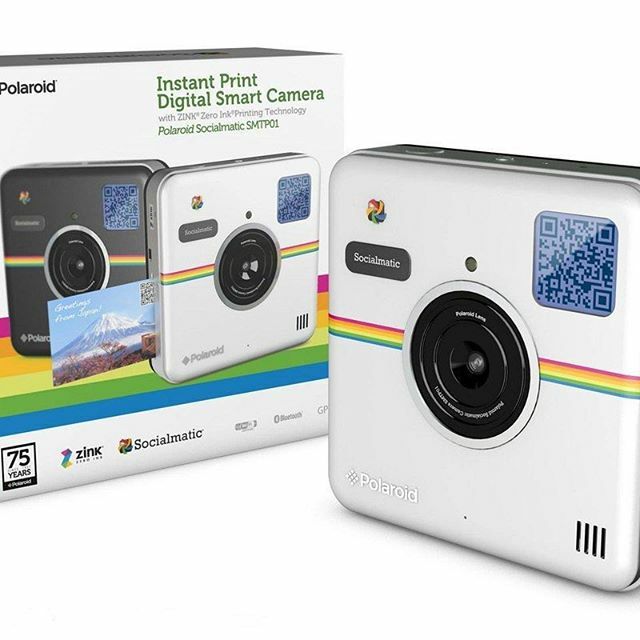 In a bid to stay relevant, Polaroid has recently released its Polaroid Socialmatic Camera to the masses. The new camera is nothing like the Polaroid cameras that had their heyday in the 1970s and 1980s. With a product design to look exactly like the Instagram logo, the target audience is the younger generation who want instant photo sharing across social networks. Although the Polaroid Socialmatic isn’t easy to slip in and out of your back pocket, it does pack a powerful punch in a small package. The camera measures 5.2” wide, 5.2” high, and 1.2” thick and within that space you’ll find a 14 megapixel rear camera, a 2 megapixel front camera for those who delight in taking selfies, a large touchscreen, and instant photo printer. There is also plenty of memory space. The camera comes standard with 4 GB of internal memory, but a micro SD card slot allows you to expand that storage to 32 GB. On the 4.5″ touchscreen, you’ll have plenty of space to take advantage of all the latest innovations Polaroid has added to their latest release. Social sharing has never been easier when using the camera’s built-in Wi-Fi connection. No need to worry about disappointing your Twitter and Instagram followers though while on the go. You can also share photos via your cell phone’s Bluetooth connection. Android comes installed as well in order to browse the Internet or download apps. Polaroid will forever be associated with instant pictures. The built-in photo printer uses the company’s new “zero ink” technology to print out 2 x 3 inch color pictures. With the editing features, the photos can be decorated with stickers, text, or frames before printing. The prints are heat and water-resistant and won’t smudge. If you’ve been looking for a combo camera that produces instant and digital photos, the Polaroid Socialmatic could be the perfect buy for you.